We've often heard people express various opinions about God, based on their own needs and observations. 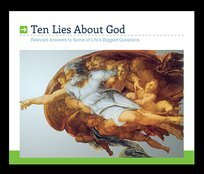 In this series of messages, Dr. Lutzer shows that contemporary culture rather than the Bible often forms our conceptions about God. Since our ideas of God are the most important thing about us, Dr. Lutzer challenges us to submit ourselves to what God has said about Himself in the Scriptures.